Interview: Emmelie De Forest works on second album in inspiring L.A. It has been quite a spectacular year for Emmelie De Forest. The Danish singer won the Eurovision Song Contest last year with her track ‘Only Teardrops’. She released a self titled debut album and toured across her country. In the meantime she already started working on a second album in Los Angeles and released the theme song for this year’s Eurovision, called ‘Rainmaker’. 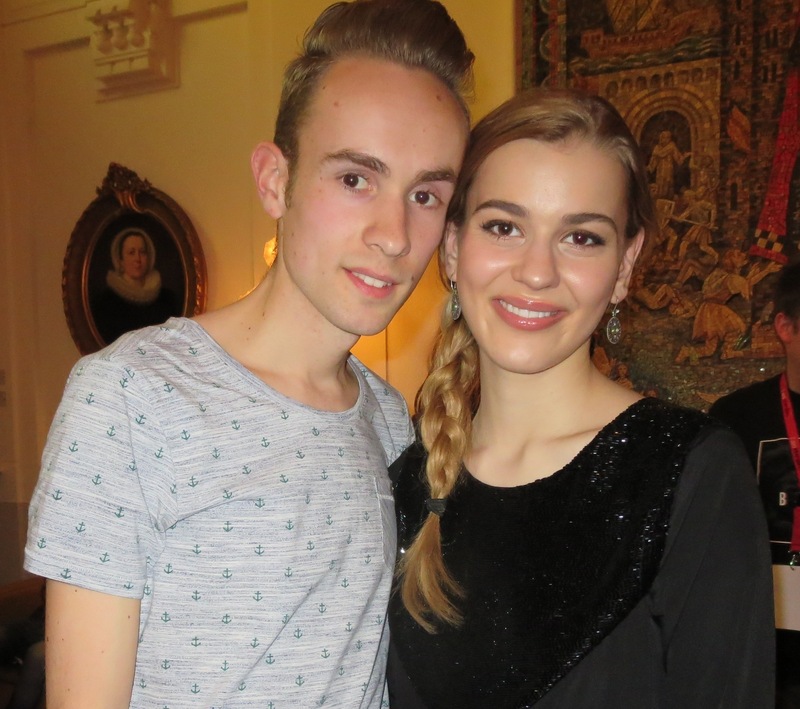 Enough reason to have a chat with the lovely Emmelie who visited Amsterdam this weekend to perform at Eurovision In Concert. Could you explain how winning the Eurovision Song Contest changed your life over the past year? It has changed in so many ways actually. I have always been making and writing music, but now I can actually make a living out of it. Before I was never able to put out an album and now I released a record with my own songs. I have been travelling a lot around Europe and I even went to L.A. to work on a second album that will come out later this year, all thanks to the Eurovision Song Contest. A new album already, that’s great news! Will it be stylistically similar to your debut album? Of course my music will still have some folk and world music influences, but I am also developing as an artist and a performer. I think it is going to be even better. I went to L.A. to write and record new songs. I got really inspired by the place and the weather, so I am going back in the summer to write some more for the album. These are really exciting times for me! You just released a new single called ‘Rainmaker’. That will be part of the album as well? Yes definitely, it will be the first single from the record and also the official theme of this year’s Eurovision Song Contest. I will sing it live in Copenhagen during the final of the contest together with all the contestants, just like I did in the Danish national final. I am really looking forward to it! Speaking of this year’s contestants, do you already have some favourites? I really like the Dutch song, ‘Calm After The Storm’, by the Common Linnets actually. I just heard it for the first time and I really like the folk and country influences. That is my thing. I used to be a folk singer as well before I entered the contest so I really love their style. I also love ‘Silent Storm’ by Carl Espen, the Norwegian song. Of course I really like Basim from Denmark as well. Did you give Basim any advice on how to handle his participation in this big contest? Yes, I actually say to all of them that the most important thing is to enjoy this huge opportunity where you get to perform your music for millions of people that are watching the show all over Europe. I think you should try to focus on making the best of this opportunity and not let the nerves get the best of you. Because it also is a stressful time, it is important to surround yourself with people you really trust. And finally I would advise to focus on the positive attention and to not read all the bad stuff that people are going to write about you. Did you read a lot of bad things about you or your performance? Actually I have been very lucky. When people are writing on my Facebook or Instagram they are usually really nice, but if you search for bad things written about yourself, you are definitely going to find it. In the end you become a public person when you participate in such a big contest and people are going to give their opinion about you. I just stopped reading the negative stuff and that was a good decision for me. Will you be back touring across Europe once your second album is released? I really hope so. I toured across Denmark with an acoustic folk tour this spring. Maybe I can arrange something for this fall or early next year. It would be great to go on tour here, but I also have plans to move to L.A. for a period to work on some more music, so we will see what happens!